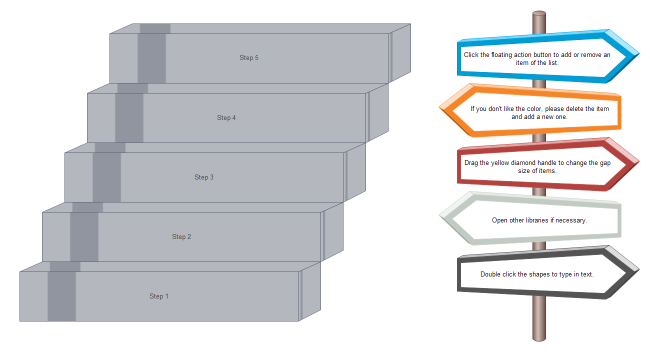 Description: This 3D ladder diagram is useful and nice-looking. Use it to illustrate a process that includes 5 steps. You can also easily add or delete a step by clicking the shapes' floating action button.